I’m not really sure how it happened, but my Kiehl’s range has grown a lot recently and I’ve tried a heap of its products now. So, I thought it would be good to write a full brand review. I absolutely love Kiehl’s. Everything I’ve tried from the skincare brand has been really good and there are few products that I will always go back to time after time. Kiehl’s products are natural and organic, with fruit and plant extracts and vitamins. I like this because it makes you feel as though you’re putting healthy ingredients onto your skin. Kiehl’s also does a wonderful anti-ageing range, something that I will definitely be checking out in the years to come. 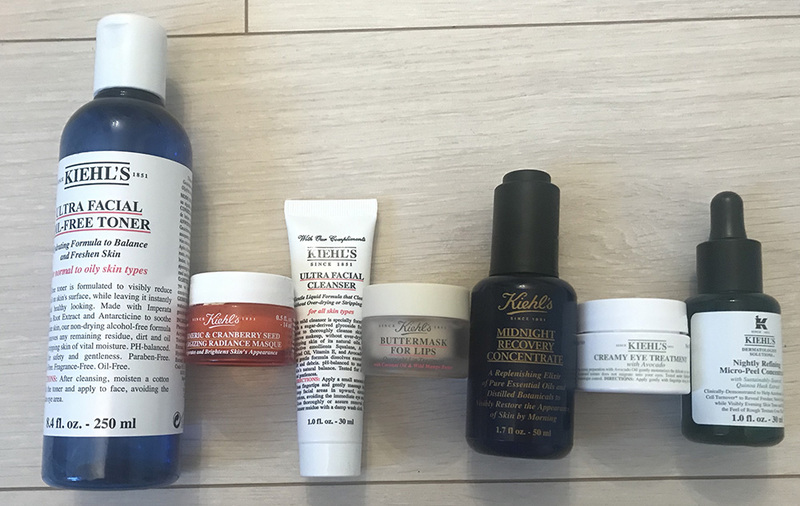 In this post, I review 7 of Kiehl’s products, all of which I’ve been using for a while now to give a fair opinion. I then go on to give an overall rating for Kiehl’s and provide my final thoughts on the iconic skincare brand. 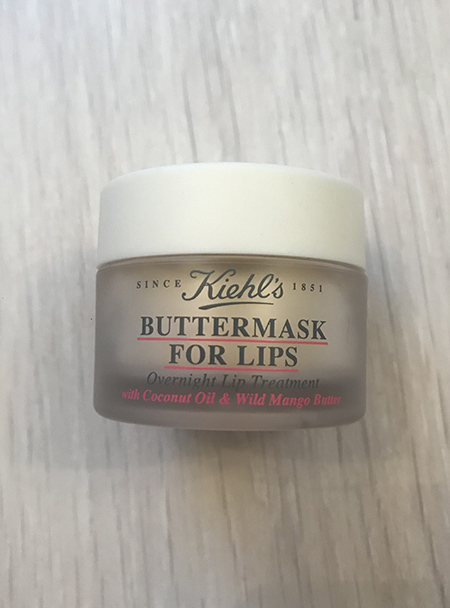 One of Kiehl’s more recent releases, the Buttermask for Lips sold out everywhere when it first came out. I know this because I tried to buy it from multiple stores and nowhere had it in stock. I LOVE this product. It’s easily the best lip product I’ve used. It leaves your lips feeling soft, nourished and moisturised and it lasts until the morning. I’ve never had a lip product last until the next day, but this one really stays put. It’s also great for this time of year when it’s getting colder, which can leave your lips feeling dry, chapped and sore. The Kiehl’s overnight Buttermask will solve this problem. Not only does it perform well, but it smells delicious thanks to the coconut oil and wild mango butter. It reminds me of shea butter and I absolutely die for anything that contains shea butter, so it’s no wonder I like this. I would not be without this product now because it has really helped keep my lips soft and protected during winter. I would recommend the Buttermask to everyone. I received this Ultra Facial Cleanser as a free sample, but, because of the nature of gel cleansers, it has lasted for ages because you only need to use a little bit of product for each use. This has allowed me to review the product over a period of time. The Ultra Facial Cleanser foams up really easily and feels soft when applying it to your face. This is something I really liked about Dermalogica’s Special Cleansing Gel because it feels nice to put on your skin. However, I’d say that the Dermalogica cleanser has a slightly more clinical feel to it, whereas the Kiehl’s one has a more natural feel to it. 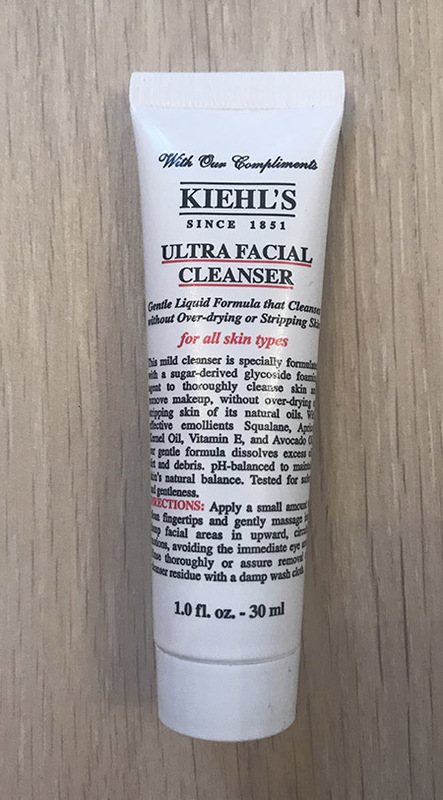 Kiehl’s describes the Ultra Facial Cleanser as “gentle and refreshing” and I’d agree with this. It doesn’t feel stripping or heavy either, so I can also see that this would be suitable for all skin types. I really like this cleanser and would happily purchase a full-size version of it. I think this compares very similarly to the Dermalogica Special Cleansing Gel, but the Kiehl’s one is slightly cheaper. For anyone that knows me, I love using face masks. I think they’re a really good way of giving your skin a bit of TLC. This Energizing Radiance Masque spreads out very easily and evenly, which I enjoy. I find some face masks can go onto your skin a bit lumpily or are hard to spread out, but this one is extremely easy to apply. I think this is a really nice face mask to use if your skin is feeling a bit dull or dehydrated and is in need of a refreshing boost. It’s very soothing and leaves your skin looking brighter and healthier after use. It also smells really nice. However, I probably wouldn’t rush to purchase this again. 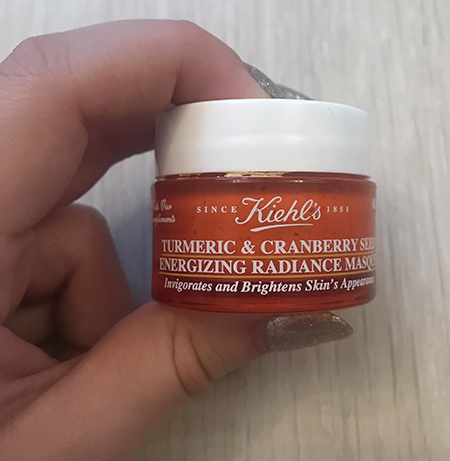 While it’s nice, I’ve definitely used face masks I prefer and I think this Kiehl’s one is a bit pricey for what it does. I think a fair few of Lush’s Fresh Face Masks are better and cheaper, which is a no-brainer really. Nonetheless, this is a nice face mask and will be great for tired, lacklustre skin that’s in need of an energising boost. I bought this toner after my favourite Pixi Glow Tonic had run out. 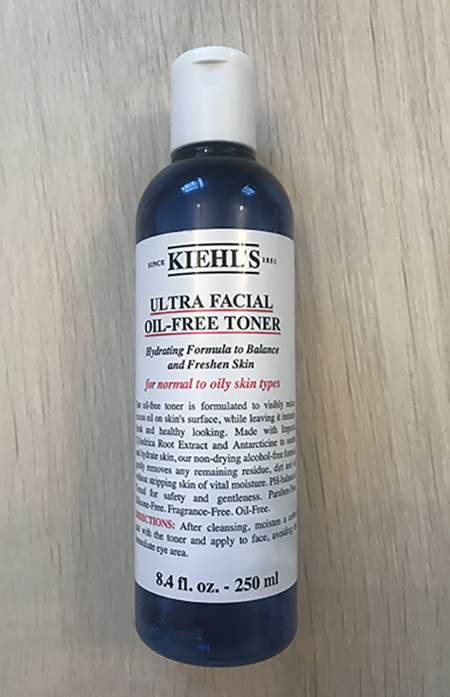 While I absolutely adore the Pixi toner, I was really into Kiehl’s at the time and thought I’d give its toner a try to see how it measured up. This is a light toner, which definitely makes it a good fit for oily skin as it doesn’t add unnecessary oil onto your skin. Whilst I do like this toner, I just don’t love it. It is nice, but I can’t help but feel like it doesn’t really benefit my skin or improve it. Which leaves me wondering: What’s the point? Is this as good as the iconic Pixi Glow Tonic? Definitely not. I wouldn’t even say it’s as good as the Body Shop’s Seaweed Oil Balancing Toner, which is much cheaper and does a better job. (I actually really liked the Body Shop’s toner and would happily go back to that one again). All in all, this Kiehl’s toner is reasonable, it just isn’t amazing. The classic. 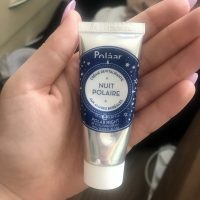 The product I literally cannot stop talking about and cannot recommend enough. 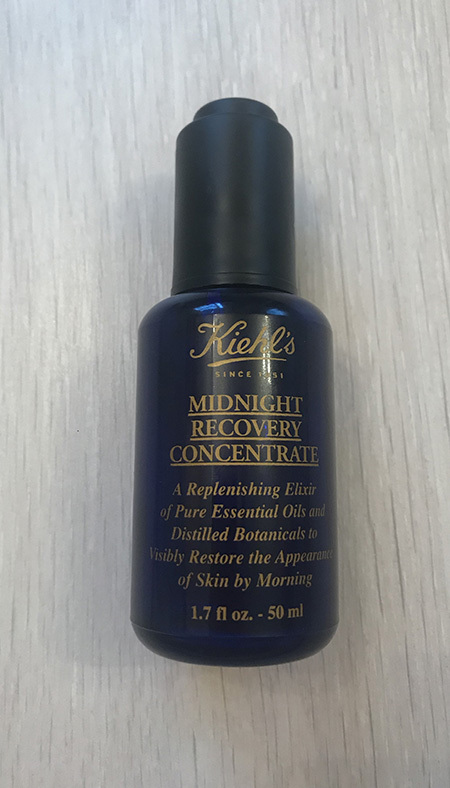 Kiehl’s Midnight Recovery Concentrate is everything. What can’t this product do? It has seriously improved my skin and is still one of my all-time favourite skincare products. I wouldn’t be without it. It leaves your skin feeling softer, brighter, clearer and repaired. Within a few months, I’d say this solved pretty much all of my skin problems. I thought that applying a serum/oil to oily skin would just exacerbate the issue, but boy was I wrong. I’d go as far as to say this has helped with my oily skin, something I certainly never expected. This serum also lasts for ages because you only need a very small amount of product for it to work its magic. So while it may seem like a splurge, it will last you for about a year and a half and will really help your skin. It’s 100% a worthwhile investment. 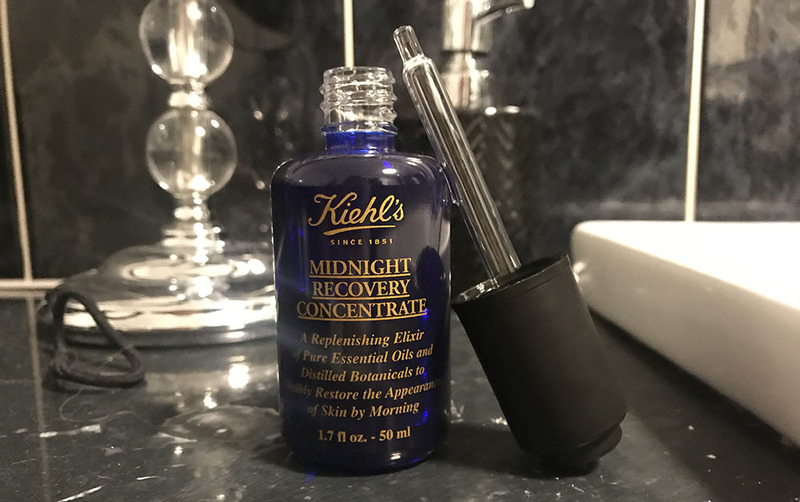 Honestly, if I could only keep one of Kiehl’s products (which would be a difficult choice), it would be the Midnight Recovery Concentrate. I can’t get enough of it. (I’ll stop banging on about it now). 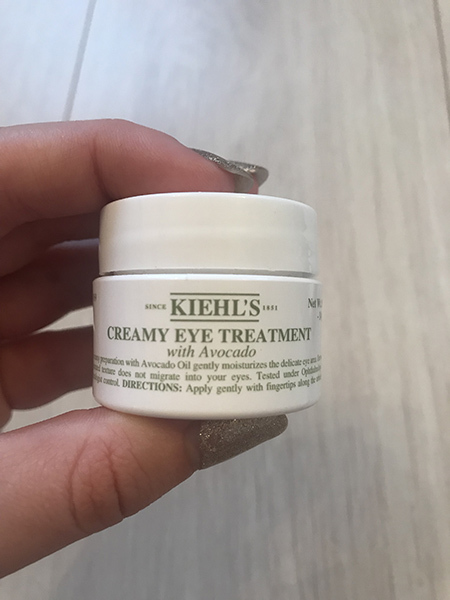 Along with the Midnight Recovery Concentrate, the Creamy Eye Treatment is one of Kiehl’s most popular and most loved products. I’m not going to lie, before I used this eye cream, I never thought I needed to use one. I thought it was something that only older people used and I couldn’t really see why I’d benefit from one. I initially tried the Creamy Eye Treatment as a sample. The first thing I noticed was the colour. It’s light green because of the avocado, which is really interesting and unique. So I put this on at night, thinking it would just be okay, but that I’d never buy it. But when I woke up in the morning, my eyelids felt SO soft. Like unbelievably soft. They also felt really smooth and replenished. I actually ended up liking this product so much that I went and bought the full-size version. After using it for a while, I can confirm that I really like this product. I can see why it’s so popular! A few months ago, I went into a Kiehl’s store because I was looking for a new exfoliator and wanted to find one that would help with my blackheads. 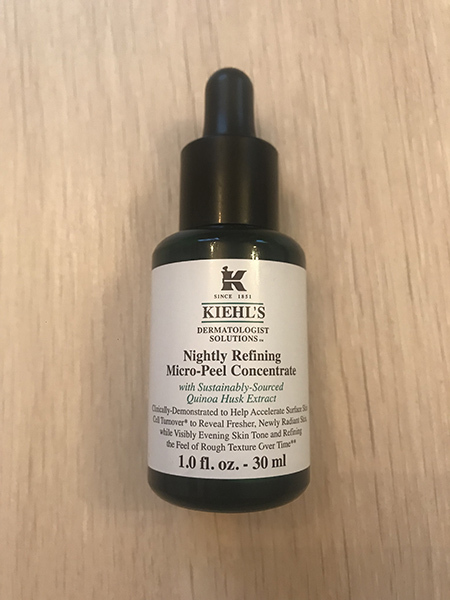 When I went in, they recommended the Nightly Refining Micro-Peel Concentrate because they said it really penetrates the skin and helps unclog blackheads and pores. This intrigued me because I’d previously only used mechanical exfoliators and scrubs, whereas, with this one, you put it on overnight and let it do the work. I’ve been using this for a couple of months now and this has undoubtedly helped with my blackheads. This is the only product I’ve tried that has helped with my blackheads for the long-term. To me, this is impressive because nothing else has worked at all. I still have a few blackheads, but they’re far less noticeable now. Not only has this product helped with my blackheads, but it has also helped even out my skin tone, which I’m so grateful for. 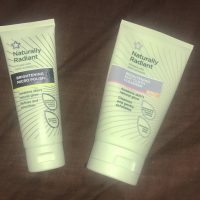 Before, I always felt like my skin looked a bit patchy and red in parts, but this overnight exfoliator has helped my skin tone look more even. Just like the Midnight Recovery Concentrate, you only need a very small amount – a couple of drops – for this to work. This means it will also last for ages, so to me, this another worthwhile investment. If you’re looking to get rid of your stubborn blackheads, then this is the product for you! I genuinely like all of Kiehl’s products. There are some that I wouldn’t go back to and some definitely work better than others for me, but all in all, Kiehl’s has not released a bad product. On top of that, Kiehl’s has also produced some absolute gems that I will go back to time and time again. My favourites are the Midnight Recovery Concentrate, the Buttermask for Lips and the Nightly Refining Micro-Peel Concentrate. These three products have really improved my skin and I don’t see myself without them. I think Kiehl’s produces a great range and there is something for every skin concern. It’s a very strong brand and its products really help improve your skin. You’re always going to find some skincare products work better than others, that’s just how it goes. But to have tried 7 products and to have liked every single one (to some extent) is impressive. I’m a massive Kiehl’s fan and can’t wait to keep trying more and more of its products. 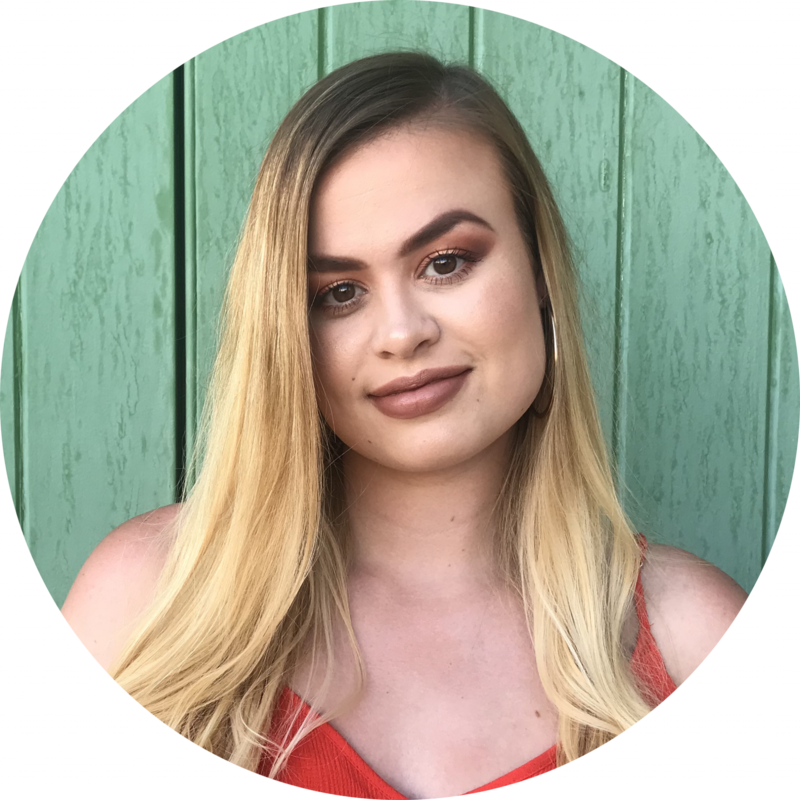 This is a range you need to check out! What are your favourite Kiehl’s products? Let me know in the comments down below! 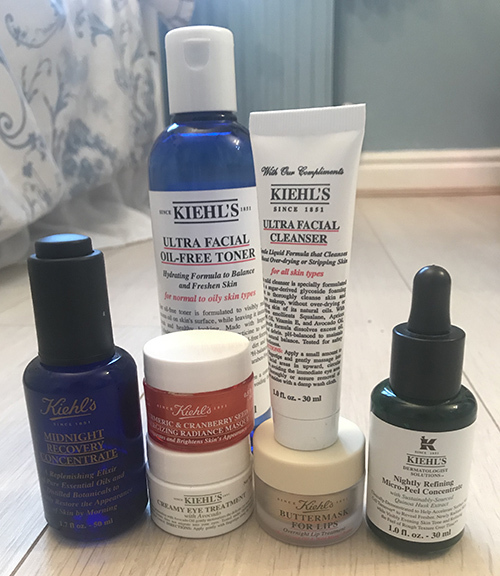 I absolutely love Kiehls too and am an avid user of the midnight recovery concentrate and the ultra facial cream, which I love to use as my everyday moisturiser! I suffer with really stubborn blackheads too, so I think I’ll have the try the Micro-peel! Thanks for the review! I’ve not used Kiehl’s before, but I think I might give it a go! I definitely have dry skin, especially now it is winter. Is there a product that you think would be best for me? Love the review.